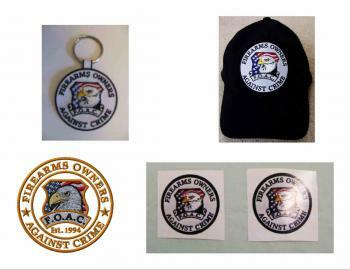 Full color embroidered patches and decals featuring the Firearms Owners Against Crime logo. 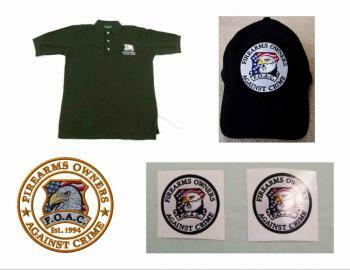 Embroidered patches may be sewn on or ironed on. Show your pride in FOAC. These long sleeve twill shirts fit any occasion or event and will keep you looking sharp. They have a full color embroidered FOAC logo.These shirts are made from a cotton/polyester blend that is easy to care for.Sizes available are Small through 5X. 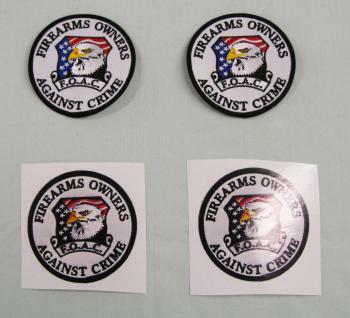 Black only, with FOAC full color embroidered patch. One size fits all. Heavy duty material holds up well under constant use. 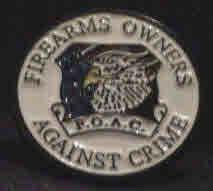 Heavy plastic full color FOAC logo. 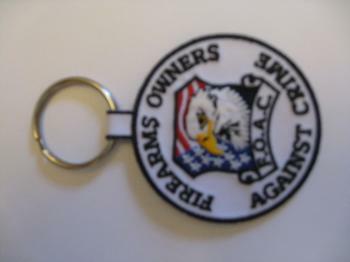 Everybody needs a key ring fob. 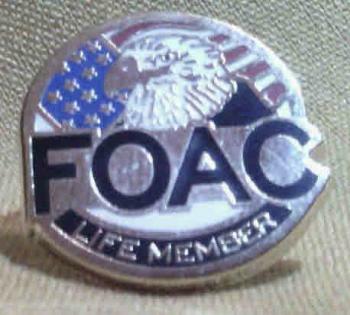 All FOAC Life Members receive a special membership pin that is gold in special recognition of their commitment to defending Freedom. 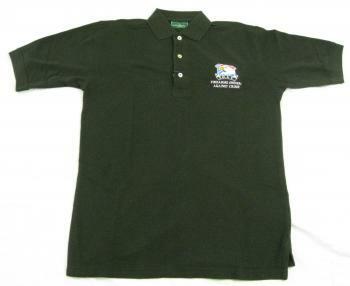 Top quality button down polo shirt with pocket and embroidered FOAC logo. Available in sizes small through 5X in either black or white. 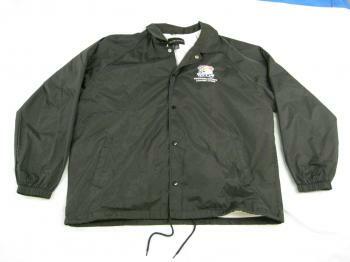 Classic windbreaker style, with snap closure front, waist drawstring, and FOAC Full color logo. Black only. Perfect for those cool spring and fall days. 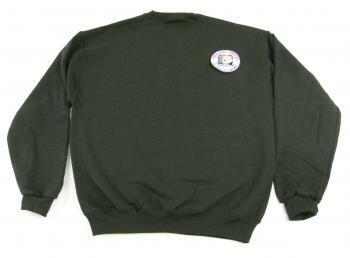 Heavy cotton sweatshirt with full color embroidered FOAC logo. Perfect when a T is too light, but a winter jacket is too heavy. Black or white, in sizes Small through 5X. 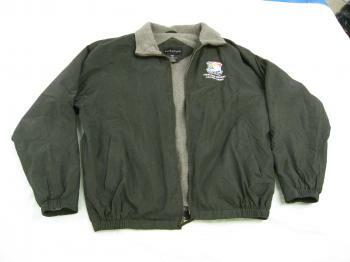 Nylon shell, fully lined in soft, fleece like material. Nice and cozy for those blustery winter days. 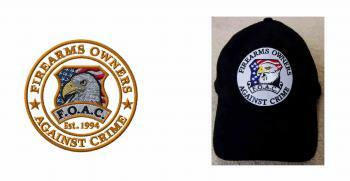 Features FOAC embroidered logo. Sizes Small through 5X. Black only with grey liner.